Saif Ali Khan and Kareena Kapoor's son Taimur Ali Khan Pataudi is now one-year-old and counting. The tiny celebrity had a birthday bash just in parity with his stardom with the Kapoors and Pataudis joining little Taimur on his special day. 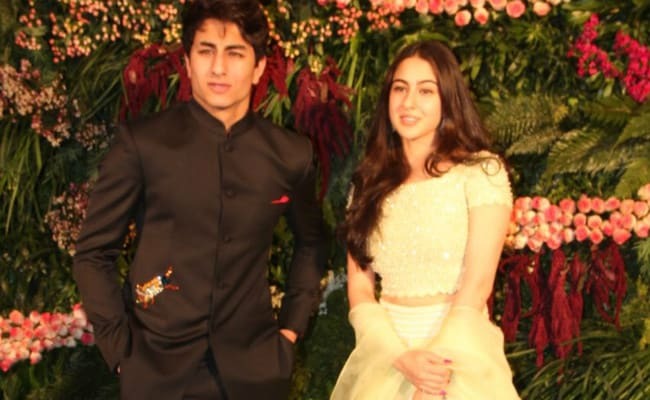 It was a friends-and-family-only affair for Taimur at the Pataudi Palace but missing were two of his most sought-after guests - Sara Ali Khan and Ibrahim - Saif's children with first wife Amrita Singh. While their absence may result in reports of a speculated rift between Kareena and the kids, a source close to the family tells Pinkvilla that Sara skipped the party as she was busy with her work commitments. Sara Ali Khan has been pre-occupied with the Kedarnath shooting schedules chalked out by director Abhishek Kapoor, and a couple of workshops, just at the time of Taimur's birthday, reportedly made her stay back in Mumbai. "Fact is, Sara was prepping with the Kedarnath crew as she has been continuously shooting for the film for over two weeks now. While Taimur's birthday was on December 20, her schedule was for the next few days after that and her director had wanted Sara to stay back for some workshops," Pinkvilla quoted the source as saying. Ibrahim is studying in London and is only home for long stays during vacations. So, he decided to give his sister company in Mumbai. "Ibrahim is in town on his Christmas vacay as he's been pursuing further studies in London and he too decided to stay back with his sister in Mumbai as they are very close and spend some time with her," the source added. Guests at Taimur's first birthday party included Karisma Kapoor and her children Kiaan and Samiera, Babita, Randhir Kapoor, Amrita Arora, her husband Shakeel Ladak and their kids. Saif, Kareena and the entire entourage of Taimur's birthday crew returned to Mumbai earlier this week to celebrate Christmas in town. And, according to the Pinkvilla report, Sara and Ibrahim partied with Kareena and Saif at their Bandra residence on Christmas eve. The brother-sister duo were also spotted at Anushka Sharma and Virat Kohli's recently held Mumbai reception. Sara Ali Khan co-stars with Sushant Singh Rajput in Kedarnath, which is slated to release in December next year.